Pestana Bazaruto Lodge package at specially reduced rates (see below). 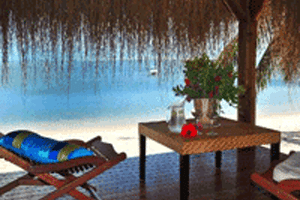 The PESTANA BAZARUTO LODGE is always good value, and now if you travel before 30 June 2009, we can offer free direct flights into Vilanculos on Pelican Air, to make it even more affordable! The resort boasts a stunning new Spa, and has two huge fresh water swimming pools with Jacuzzi’s. 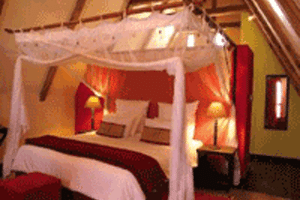 It is ideally situated on the North point of Bazaruto Island, close to the best diving and fishing in the area. Bazaruto Island is the largest of five islands in the Bazaruto Archipelago, which is situated approx. 800 km North of Maputo. Vilanculos, on the mainland, is the nearest International Airport and is approx. 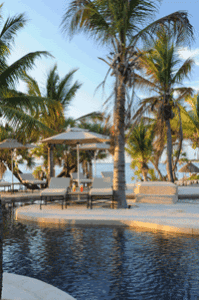 2 ½ hours flying time from Johannesburg – either direct, or via Maputo. The name Bazaruto originates from a local word; “Ushurutswa”, which means “island of the mist”; the Portuguese later converted it to Bazaruto. Legend has it that pearls were collected for the Queen of Sheba off the coast of Bazaruto. 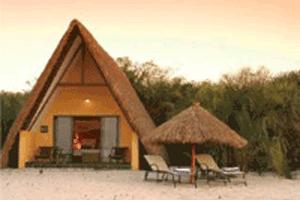 PESTANA BAZARUTO LODGE now has 40 air-conditioned, en-suite chalets stretched along a beautiful sandy white beach. The new Spa is perfectly situated with stunning ocean views, and there is also a new children’s play area for younger children. The resort has a fully air-conditioned conference room, and a games room with pool tables, table tennis and other games. Free direct flights into Vilanculos with TTA Pelican Air will be arranged for the first 10 guests to book and confirm. We do have many other specials at numerous resorts, so if the above does not suite you or your clients, please don’t hesitate to contact us.